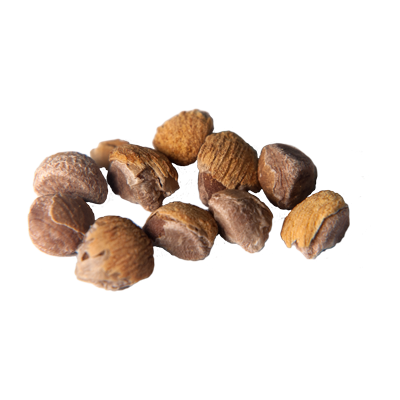 The seeds of Hawaiian Baby Woodrose (Argyreia nervosa) contain a high concentration of Ergine (LSA) which is said to have a similar effect to the illegal drug LSD. Just like the Morning Glory it is can be used on it's own, or for the real psychonauts used to enhance the visual effects of Magic Mushrooms. The vine of the Hawaiian Baby woodrose produces big heart shaped leafs and many big purple trumpet-flowers. 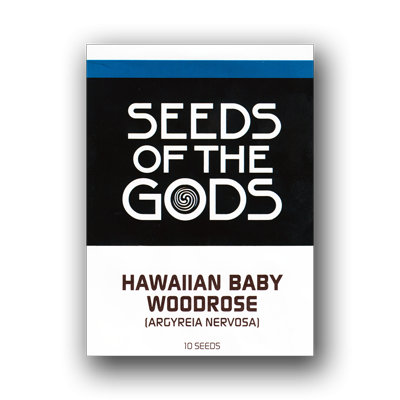 To get the best effects from the Hawaiian Baby Woodrose you should prepare the seeds in a certain way. There are several methods of doing this. Here on the Erowid website you can find a relative easy way of doing this. Excellent service, fast delivery and an amazing product. Would recommend it to all sorts of creative individuals for the increasing of awareness and personal insight. Also including a trippy greeting card in the package was a really nice touch. First of all, i want to say: They are not really trip modifier...they make a trip! Consumtion: Just drinking with the crushed seeds, no good taste, no bad taste though..quite okay. Then 6 hours of consumption another friend came, he was introduced to my consumption. Good talking again but the trip began to calm. Two hours later he left again it the trip was actually over. All in all i can say: To me, it improves my thinking, no fun substance, but possible for using in society. The improved thinking is a little like on shrooms but not that spiritual, i did never feel to ''come in contact with my soul'' as i sometimes do on shrooms. Therefore i did not lose my thoughts, i could think them to an end, thoughts i was long time thinking about, for months...i found results :) No visuals, nothing acoustic, never feeling like being in a ''different world''. But be aware!!! : Before consuming, i read a looot about them and i read about many people having such an intensive trip, much more than on shrooms with visuals, acoustics and losing the reality. Also of puking and puking...and they consumed less seeds than i did. It has totally different effects. It depends to the person. Read a lot before consumption!! But for me it was great, it solved many thoughts of mine, great thinking. But i don't want to recommend because it has so many different effects and i haven't read about many effects like mine. I recommend to read a lot about it, read about the LSA as alkaloid, too. Then make your own thoughts about it, and if you want to try: enjoy!